Dr. McMurray and Dr. Williams are happy to help you have a positive and convenient dental experience by providing this patient special! 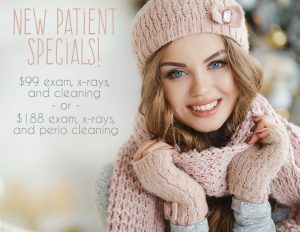 Mention our website during your visit to Legacy Smiles Family Dental to receive a new patient cleaning, comprehensive exam, and necessary X-rays for only $99! With this special, you will receive the proper care you need from our dentists in Meridian, Idaho. Please call our office for the latest specials that we offer this month!